If you scroll down, there is an Naturally Aspirated list. Okay I'll make updates around lunchtime, keep them coming. 1/8th mile list I can build out, it's already started, are folks mostly interested in seeing it broken out by tire like I have been doing, or just simply by ET? Tire and ET would be nice John. Last edited by 10sec_rx7; 08-25-2013 at 06:57 AM. 73. 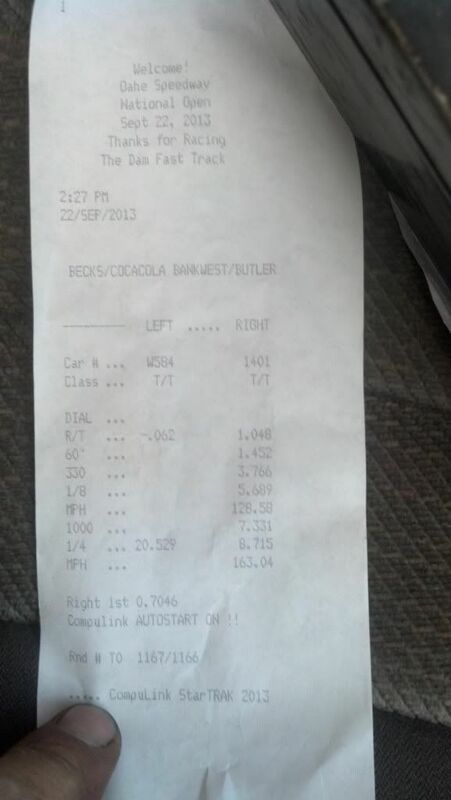 8.41 @ MPH Rodney Massengale - 2001 Z06 - T400? 79. 8.4 @ ??? Ted Timmerman - 2002 WS6 - 76mm - T400? *note disclaimer* I hate Hypocrites, Liars, Druggies/Drunks and Thieves. I am also considered an ahole in general. I am ok with it, so don't bother pointing it out, I already know. I guess I need to add this also. If you quote me and I don't respond after the second time, I most likely have you on my Ignore list. (512 as of 2/18/18 I wouldn't mind you adding me to yours! Last edited by 1989k1500; 08-25-2013 at 08:31 PM. Nice I'll do updates tomorrow. Last edited by SuperDaveLSX; 08-27-2013 at 11:48 PM. Updated all of these on the list, now onto the other thread. I have updated all times given to me. I am more than happy to add new entries, I know there are many 8 second cars out there. I like to keep the historical info of cars that ran in the past that are no longer active, or whereabouts unknown. But if I know the car is inactive, or no longer LSX, I'm changing the font and italicizing those entries. I've removed the video links, and will add them to other threads I will create in the near future. The 1/8 mile stuff, well I broke it up by tire, even down to the 8.5 stuff. Like? Or just one big list of 1/8th from quickest to slowest? Or I could break it up by Outlaw (big tires), Outlaw 10.5 (315's, 29.5's), 275/X275, Ultra, and 8.5. Pretty open on that. I'd like to build out the COPO list. You guys care about 5th gen records or GTO records etc? 54. 8.168 @ 167.41 Bill Trovato 5th Gen.
Last edited by zbrown; 09-24-2013 at 10:01 AM. I have a lot of updates to do! !